The majority of homeowners inherit their furnace when they purchase their home. Most people tend to wait until these units stop working before considering replacement. This can be a mistake for several reasons. Most older heating systems are oversized, causing constant cycling, added wear and tear on components, fluctuating temperatures, and inefficiency. 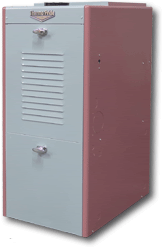 Don’t delay your furnace installation! Over time, even the most meticulously maintained equipment suffers diminished performance. During the last months, or even years of service life, your furnace is probably wasting a great deal of money in terms of a lack of fuel efficiency. Modern alternatives are exceptionally energy efficient, which translates into a much lower fuel bill, quickly recovering the initial investment. Advancements in design have also led to enhanced comfort, quieter operation, safety features, and far superior durability. The licensed HVAC technicians from Richard's Fuel & Heating Inc. would be happy to inspect your furnace, analyze performance, and estimate potential service life. If you are considering an upgrade or new installation, we offer free quotes, quick turnaround on system installation, and accurate workmanship. Our extensive experience, commitment to your satisfaction, and proper sizing of equipment ensures the highest reward from your investment. With over forty years in the HVAC industry, Richard's Fuel & Heating Inc. relies on proven-reliable Goodman heating systems to answer demand for dependable, efficient, and consistent heating. With Richard's Fuel & Heating Inc., you get the most exceptional products and dependable heating installation services around!